While the Trinity is hard for us to understand conceptually, every Christian experiences God’s triune love when they are adopted as his children.. Positioned as sons, we experience God’s love like the Son in three ways: beholding the Father’s love, reflecting it and overflowing with it. Isaiah’s vision of God foreshadows this threefold experience. Beholding God’s Love. The Son of God comprehends the Father’s love for him perfectly and eternally. Isaiah cannot stand to be in the presence of God to start with, yet when a live coal is taken from the heavenly altar and touches his lips he is purified and able to remain in God’s presence. Likewise, when we become Christians, Christ’s death on the cross cleanses us from sin, removes God’s wrath and judgement from us and enables us to behold his love for us as Father. This enables us to see, not only his love at the cross, but that “the whole earth is full of his glory” (vs 3) – That in all things and circumstances God is pouring out his love to us. Reflecting God’s Love. In eternity the Son of God reflects the Father’s love perfectly as he beholds his love. When we becomes sons of God, we too are enabled to reflect God’s love. This is shown in Isaiah’s experience when his lip are touched with the coal, he is enabled to speak like one of the burning Seraph’s, declaring God’s glory back to him. Likewise, Christ enables us to love God by living in a way that reflects God’s love to us on the cross and in all things – lives full of obedience, praise, joy, peace, thankfulness and so on. As we live these lives we are in fellowship with Christ, experiencing God’s triune love in a second way. Overflowing with God’s Love. “Together the Father and the Son disclose that the totality of their love is the exuberance of yet another, who is both the unity and the fruit of their love, the Holy Spirit.” This aspect of the Son’s experience of love is perhaps the hardest to explain conceptually, but is reflected in Isaiah’s commission – he is sent out from God’s presence to do God’s work. Likewise, in we see God’s love overflowing through the Son in creation and in salvation bringing new things into existence. So too, hen we behold and reflect God’s love we are filled with a love that overflows out of us transforming and filling the world. This filling and overflowing enables us to know God’s love in a third aspect as we become more ourselves, see more of his love and reflect him more. 2. 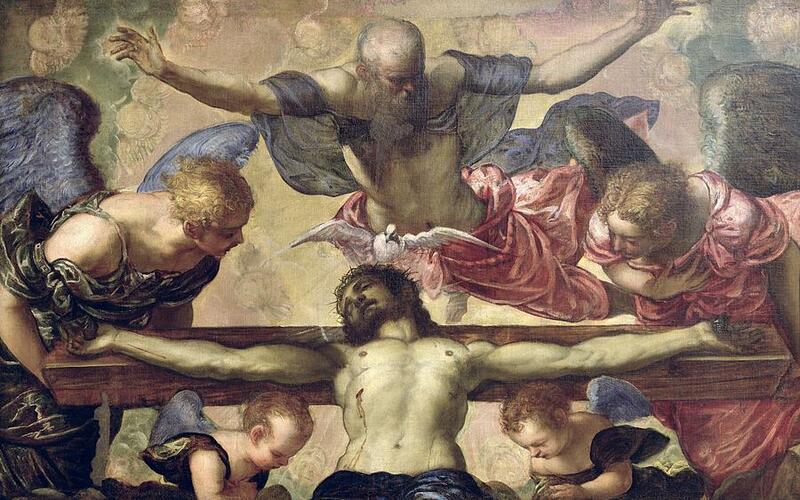 It deepens our love of Jesus, through whose humiliation and sacrifice we come to know God’s triune love.